This watch is also known as: 25910.1.11.105 , 25910111105 , 25910-1-11-105 . The soul of a watch is embodied in the intricacy of its movement. 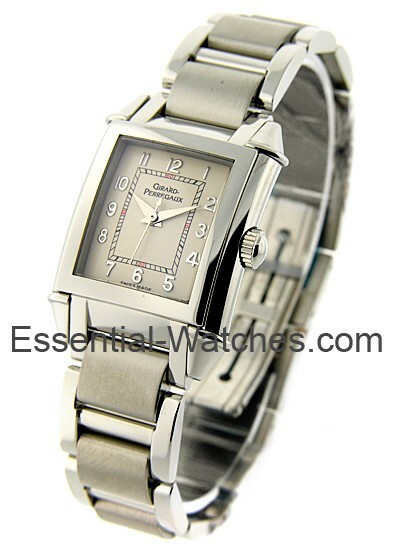 Girard Perregaux Lady's Vintage 1945 is in steel case with silver Arabic dial. 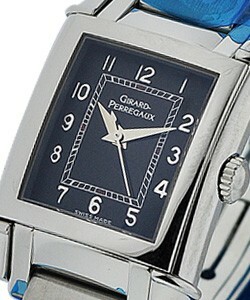 This Girard Perregaux Lady's Vintage 1945 timepiece is incorporated with automatic winding movement. The 1945 Lady's Vintage also features: caliber GP 0800, fixed bezel, absolutely scratch resistant and 30 meters water resistant. Girard Perregaux Lady's Vintage 1945 is truly a remarkable timepiece.